The Morgan Horse, (E. f. caballus,) descended from a little bay stallion born in West Springfield, MA, in 1789, who could outrun and outwork any horse brought against him. Named "Figure" by his owner, schoolteacher and singing master Justin Morgan, in later years he was known by his master's own name, "Justin Morgan". The gallant little horse died in Vermont in 1821 at the age of 32; the sturdy breed bearing his name. 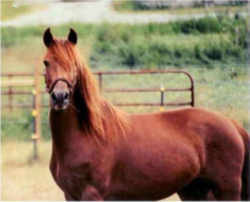 The Morgan Horse was adopted in 1970. The Morgan horse is one of the earliest horse breeds developed in the United States. Tracing back to the foundation sire Figure, later named Justin Morgan after his best-known owner, Morgans served many roles in 19th-century American history, being used as coach horses and for harness racing, as general riding animals, and as cavalry horses during the American Civil War on both sides of the conflict. 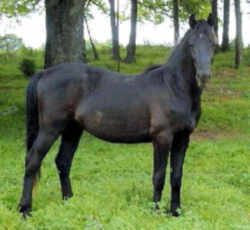 Morgans have influenced other major American breeds, including the American Quarter Horse, Tennessee Walking Horse and the Standardbred. During the 19th and 20th centuries, they were exported to other countries, including England, where they influenced the breeding of the Hackney horse. 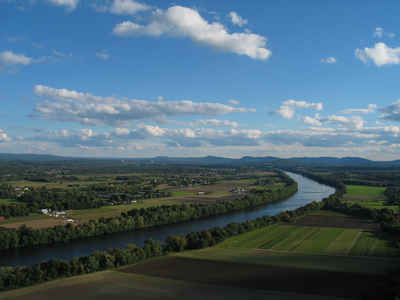 In 1907, the US Department of Agriculture established the US Morgan Horse Farm in Middlebury, Vermont for the purpose of perpetuating and improving the Morgan breed; the farm was later transferred to the University of Vermont. The first breed registry was established in 1909, and since then many organizations in the US, Europe and Oceania have developed. There are estimated to be over 175,000 Morgan horses in existence worldwide as of 2005. The Morgan is a compact, refined breed, generally bay, black or chestnut in color, although they come in many colors, including several variations of pinto. 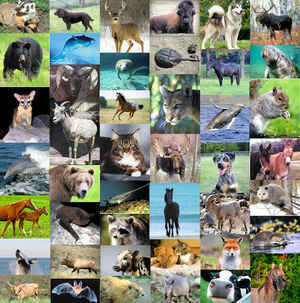 Used in both English and Western disciplines, the breed is known for its versatility. The Morgan averages between 14.1 and 15.2 hands and occasionally reaches 16 hands. It is most frequently found in the colors bay, black, brown, chestnut, gray, palomino, creme, dun and buckskin. The Morgan is easily recognized by its proud carriage, upright graceful neck, and distinctive head with expressive eyes. Deep bodied and compact, the Morgan has strongly muscled quarters. The Morgan horse has a dramatic gait with considerable action. The law designating the Morgan horse as the official Massachusetts state horse is found in the General Laws of Massachusetts, Part 1, Title 1, Chapter 2, Section 11. Part I. Administration of the Government. Title I. Jurisdiction and Emblems of the Commonwealth, The General Court, Statutes and Public Documents. Chapter 2. Arms, Great Seal and Other Emblems of the Commonwealth. Section 11. The Morgan horse shall be the horse or horse emblem of the commonwealth.